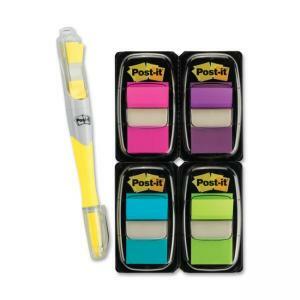 Post-it Flag make it simple to mark, flag or highlight important information. Eye-catching, colorful flags are easy to spot and have space to write. Each 1" flag sticks securely and removes cleanly. Dispenses one flag at a time. Use them to draw attention to critical items, index, file or color-code. Removable flag mark your place, tab and highlight information. Copy shows through flags. Write on flags to customize. 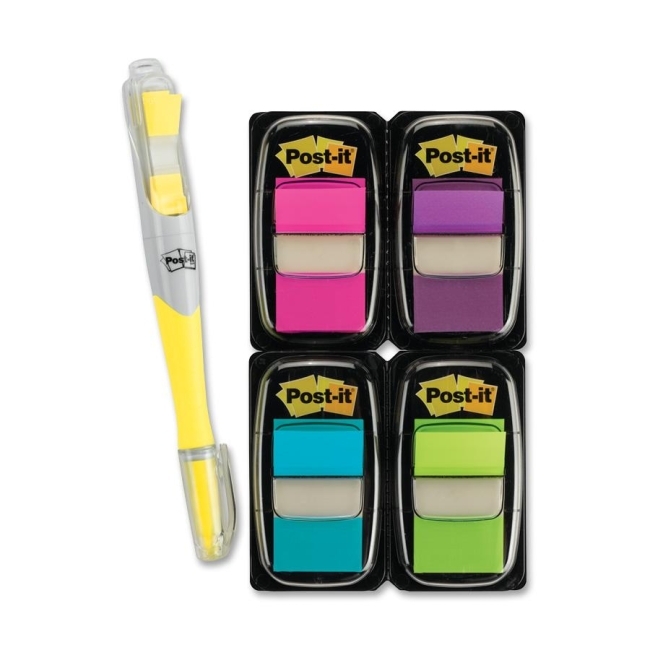 Value pack includes 50-flag dispensers in bright blue, pink, purple and bright green and 12 free bonus durable filing tabs in a convenient dispenser.